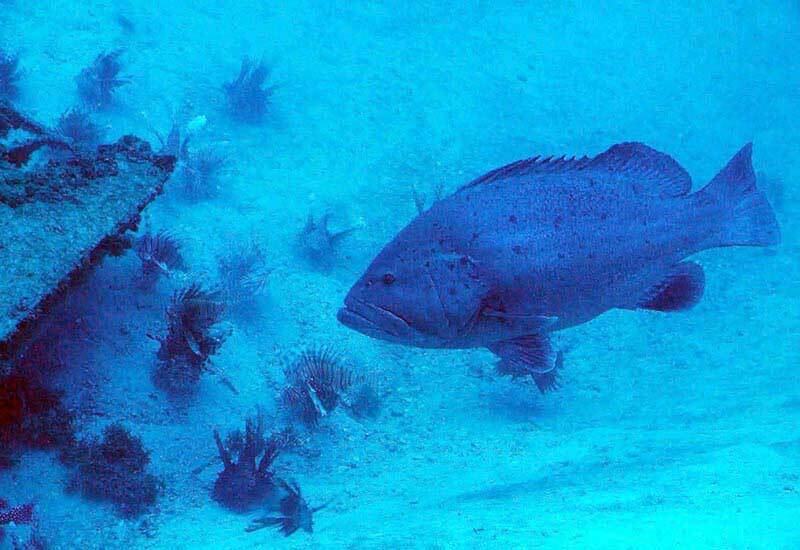 Select an image below to visit a photo gallery. 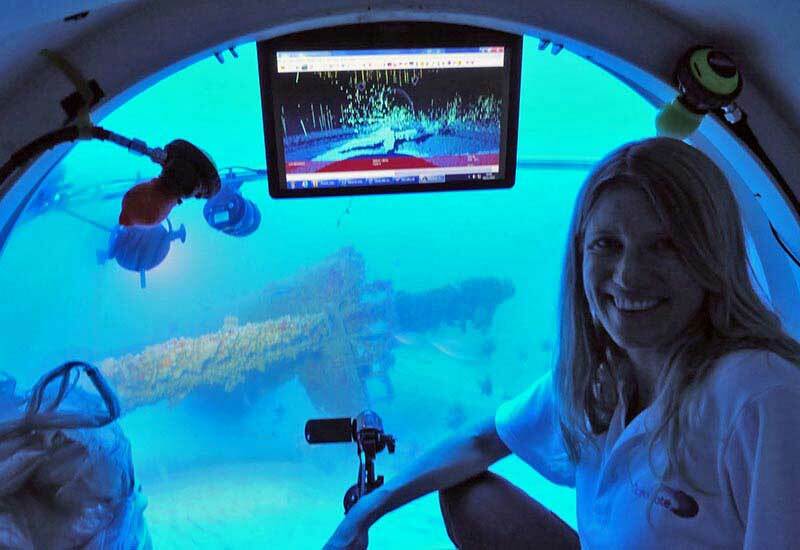 Erika Montague, OceanGate's Director of Science and Technology explores the F6F Hellcat aircraft near Miami. 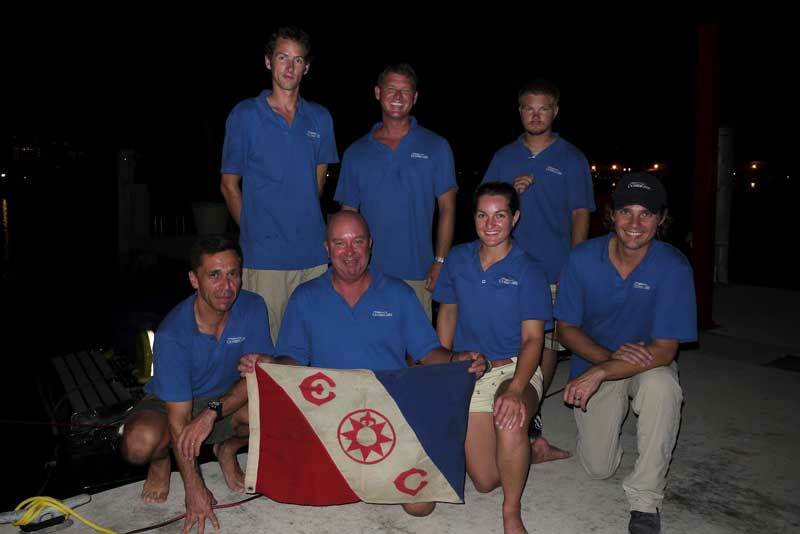 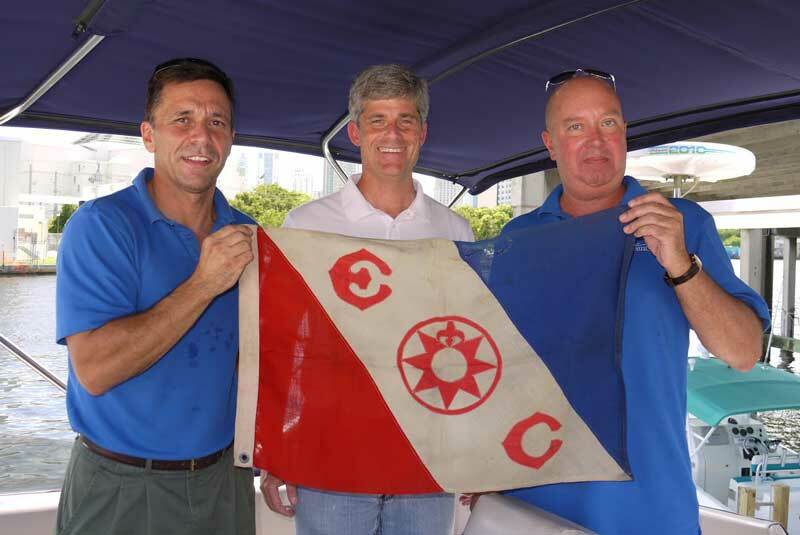 OceanGate co-founders Guillermo Sohnlein (left) and Stockton Rush (center) with Explorers Club member Ross von Burg. 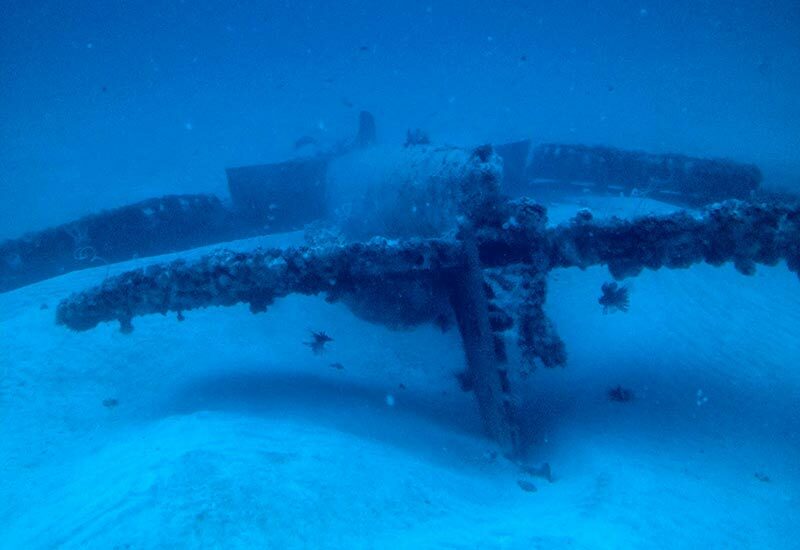 Grouper and lion fish near the wing of the F6F Hellcat. 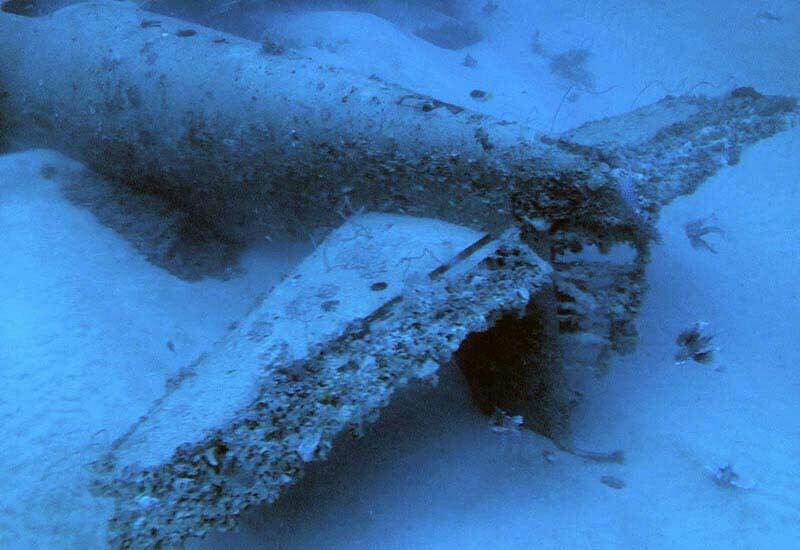 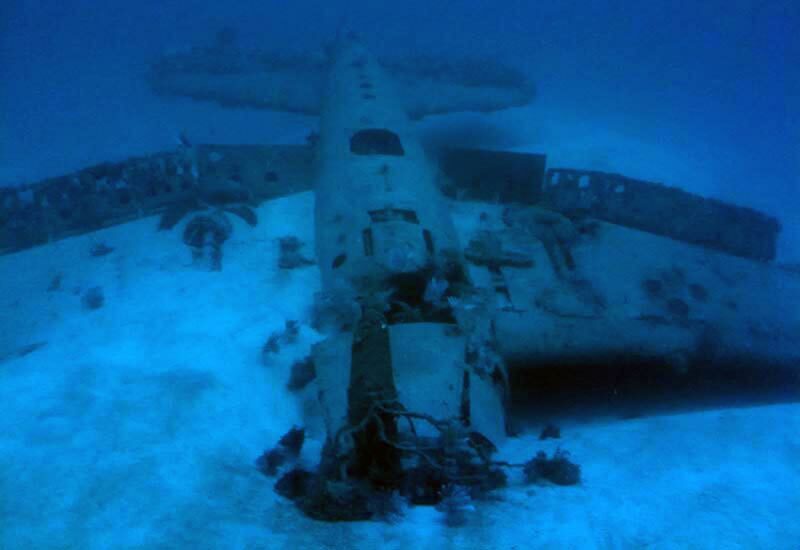 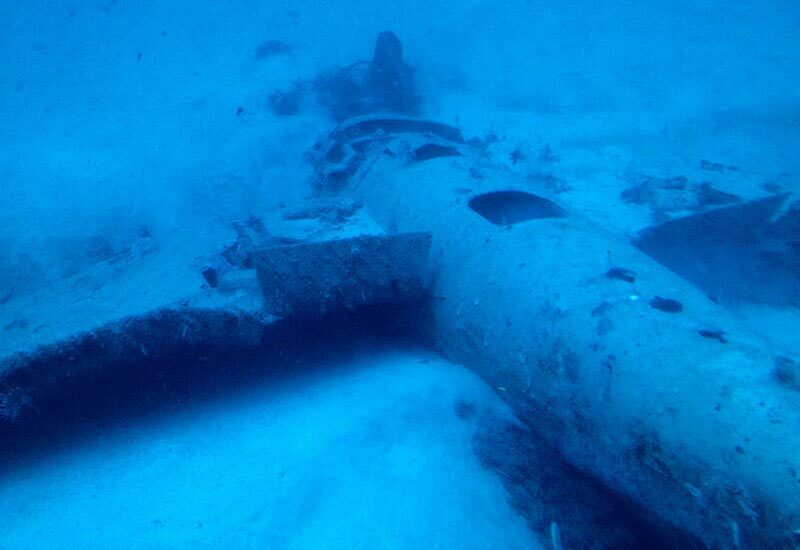 The F6F Hellcat came to rest upside down on the sea floor. 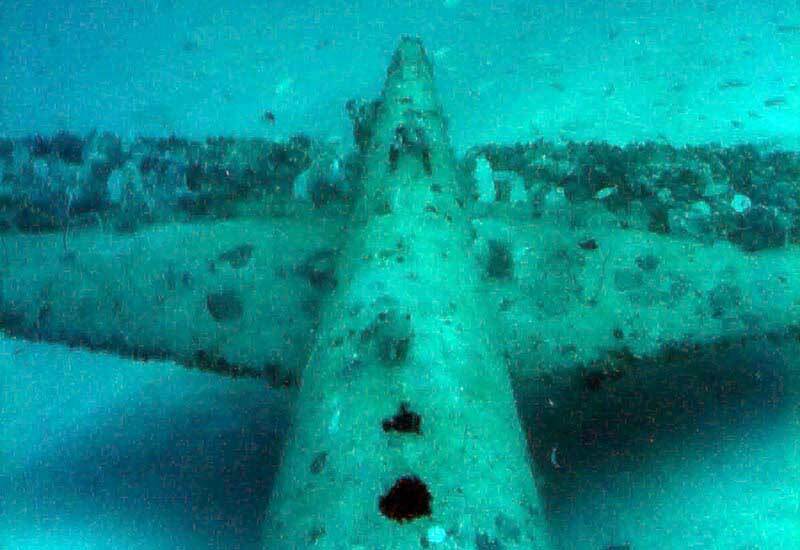 Close up view of the right side landing gear retracted into the underside of the wing. 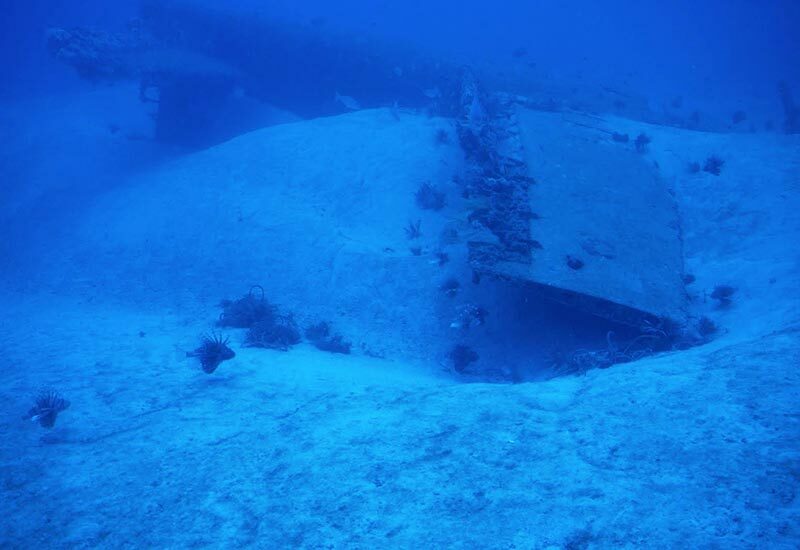 Propeller and front of fuselage with lion fish. 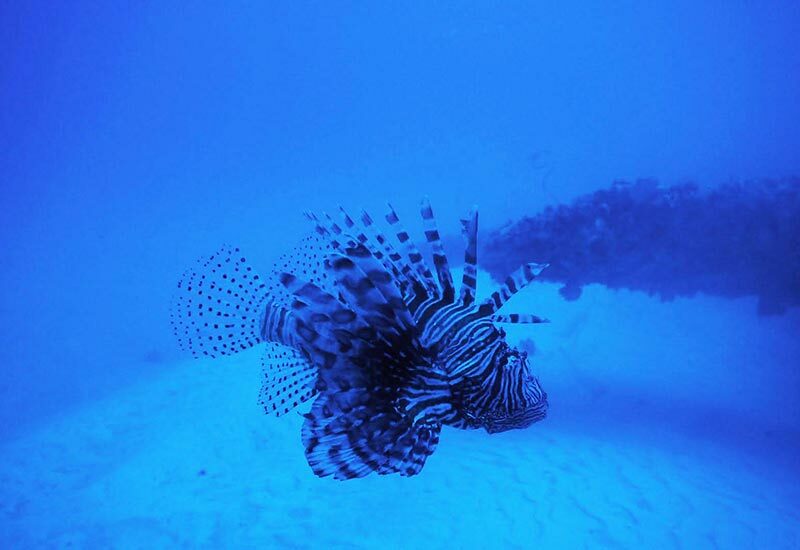 Tail section with lion fish. 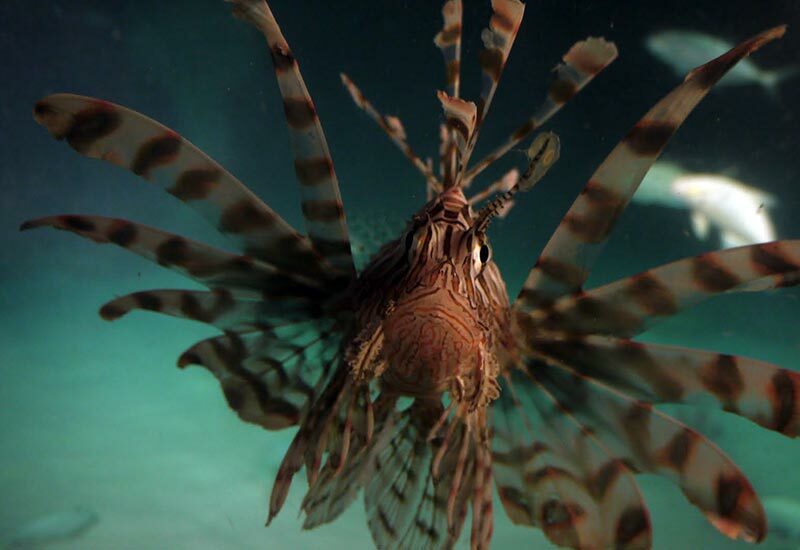 Lion fish peers into Antipodes. 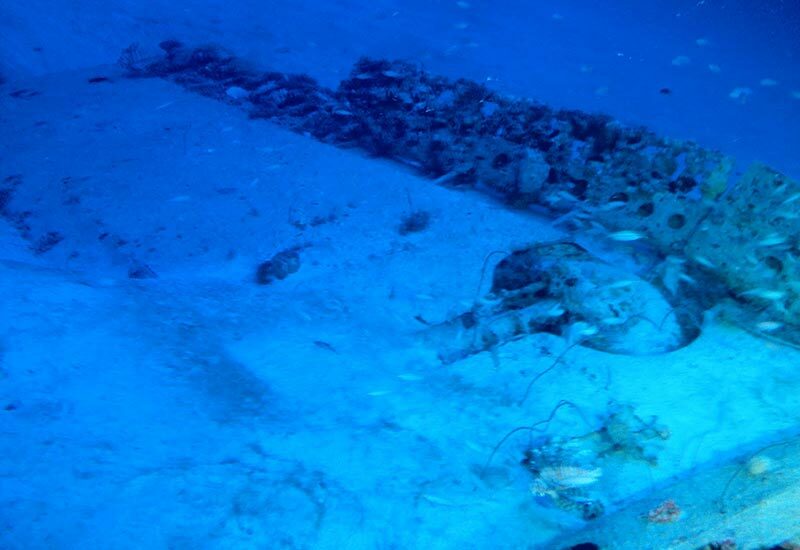 Lion fish on sea bed near the F6F Hellcat. 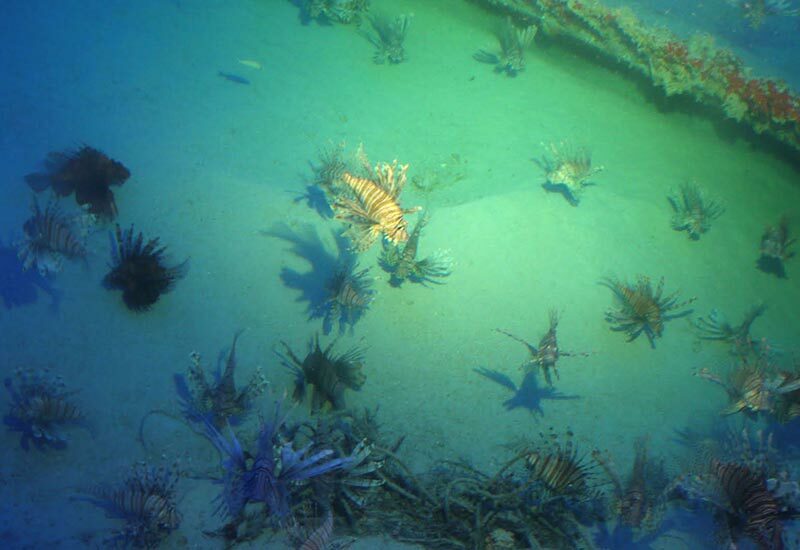 Lion fish and the left wing with tail section in the distance. 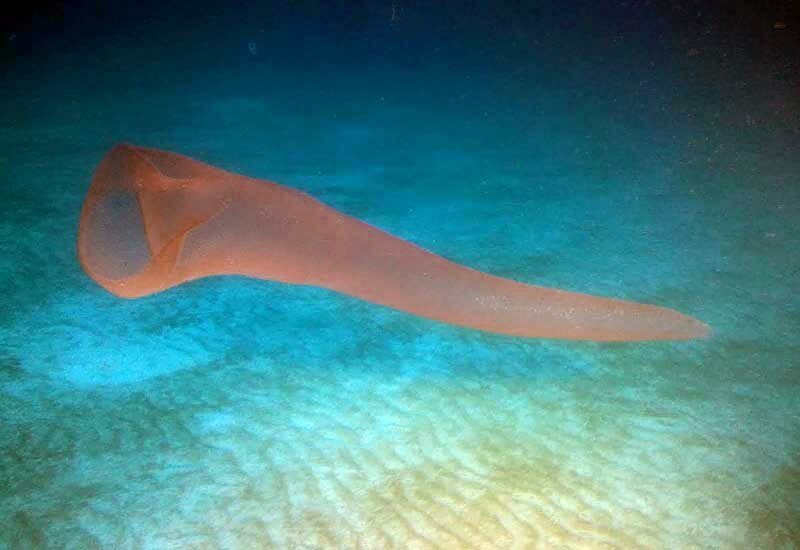 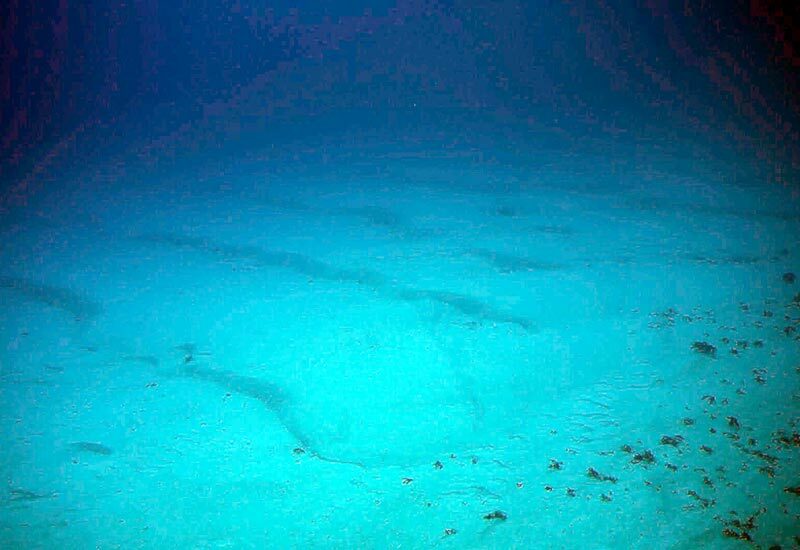 Sand formations on the sea bed likely created by ocean currents. 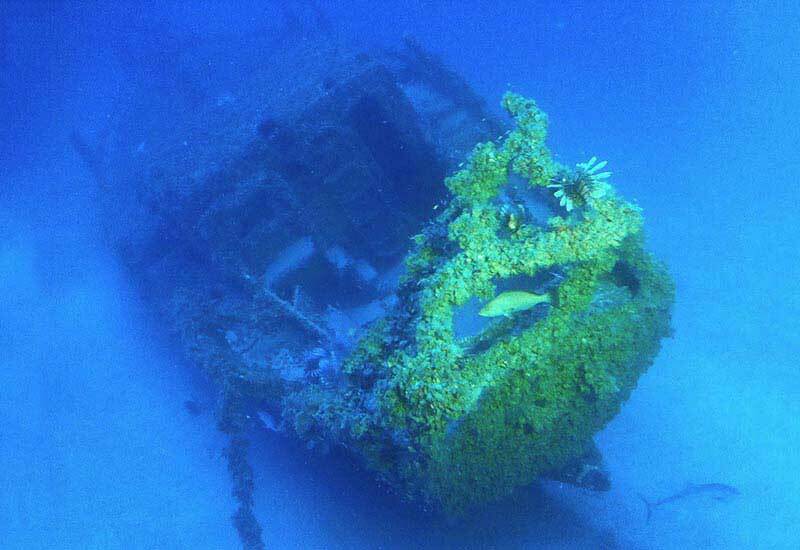 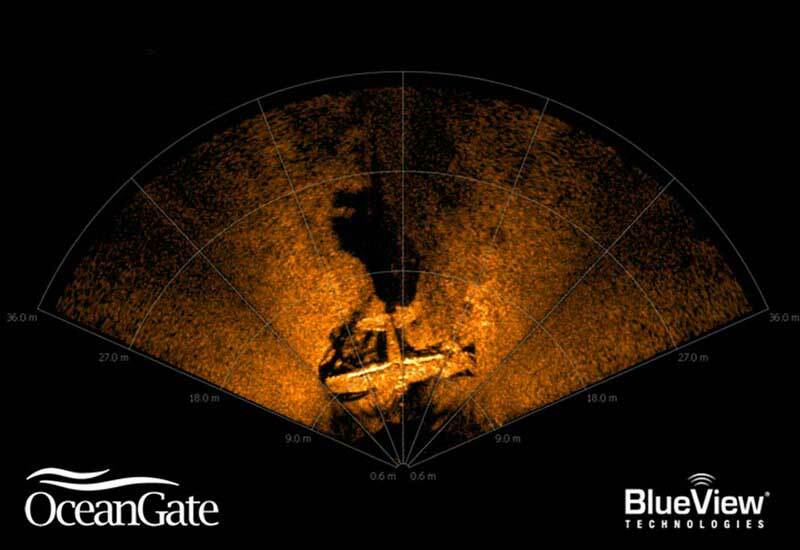 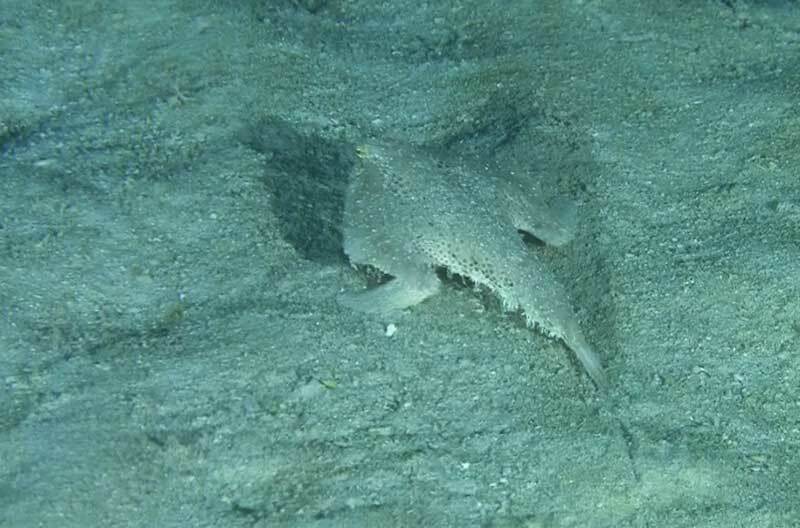 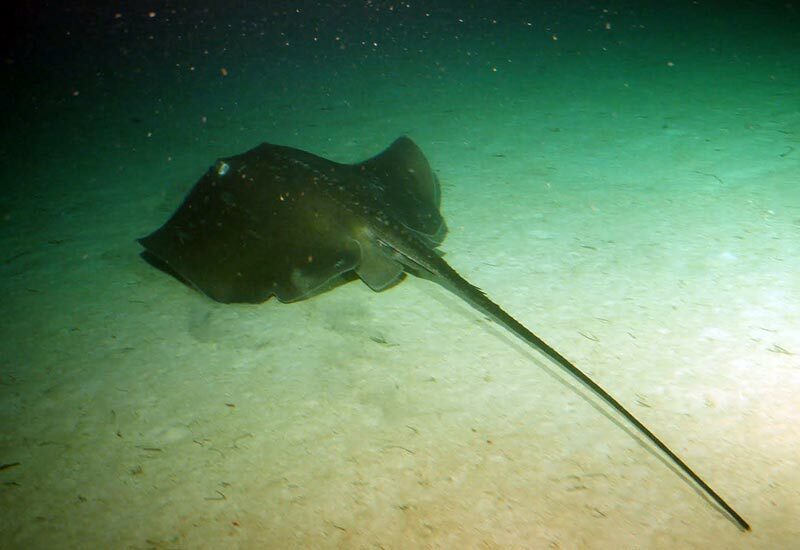 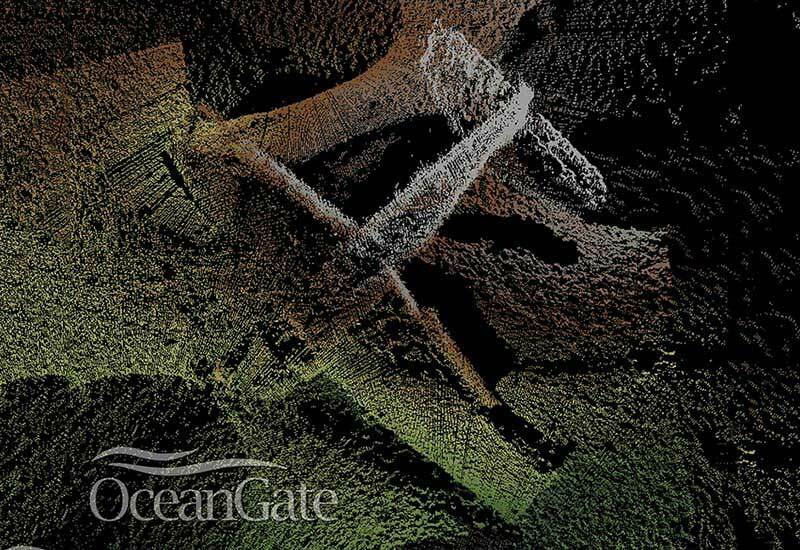 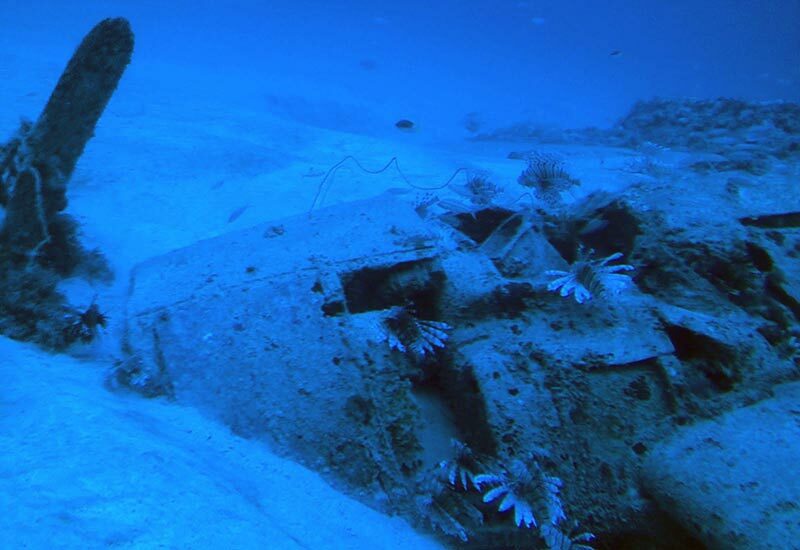 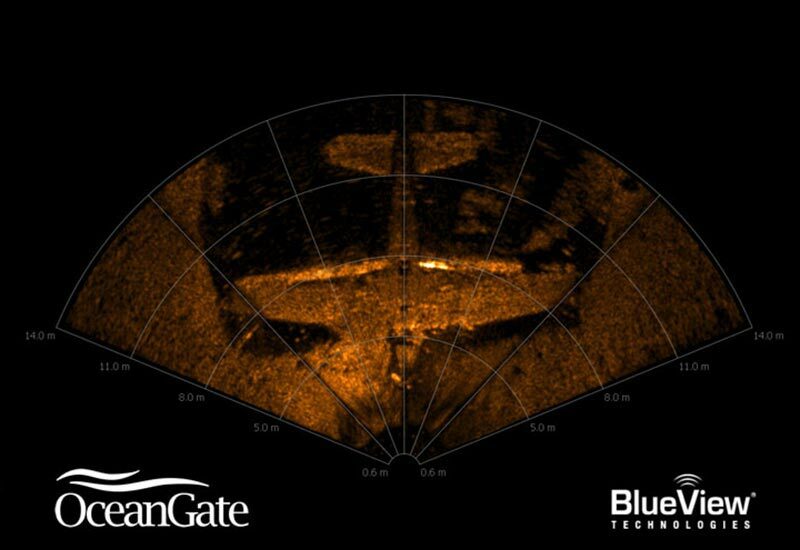 Sailboat discovered on the sea bed near Miami.